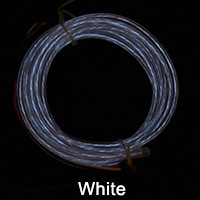 This Electro Motion EL Wire has an astonishing light-chase effect that looks like a coiled ribbon of light is continuously surging through the wire. 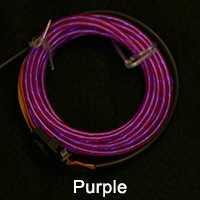 The non-stop flowing vortex of light makes this very different from all other EL wires. 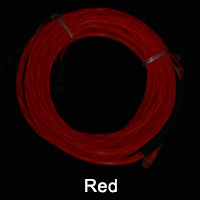 This unique, flexible, cool-to-the-touch wire is perfect for costuming and decor use. 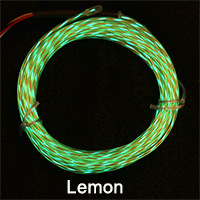 Available in 8 colors: blue, transparent blue, lemon, aqua, red, white, green and purple. 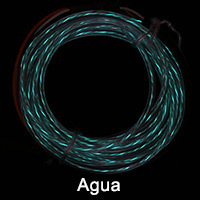 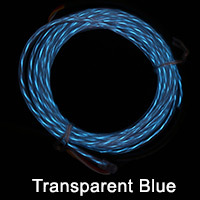 The aqua and transparent blue wires are clear when unlit, making those color have a particularly unique dual-tone effect of looking like segments of light chasing through clear wire. 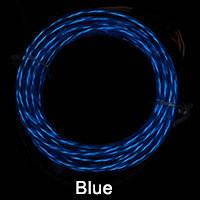 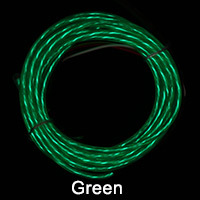 The Electro Motion Light Chasing EL Wire is 3.2mm diameter and the wire portion measures 6 1/2 ft long. 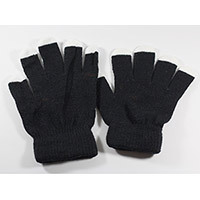 The power pack measures approx. 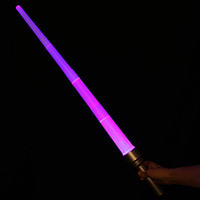 3.5" long and features an integrated belt clip. 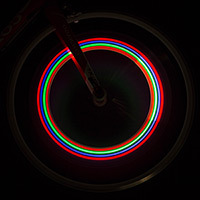 Uses 2 replaceable AA batteries (not included).